It’s in the name. You know instinctively that the Kitsap Peninsula is remote yet connected. You can spend a day paddling saltwater or hiking tree-lined trails and be home as quickly as you can drive the Hood Canal Bridge or Tacoma Narrows or catch a ferry. But why hurry? 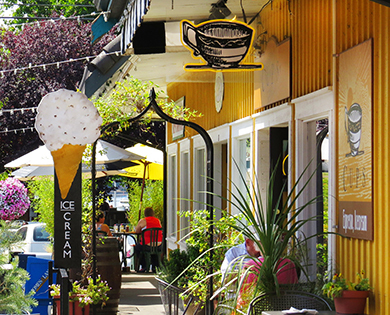 The Kitsap’s scenic paths and burgeoning food scene—including historic grocery stores and gourmet delis for trail provisions—make it an ideal weekend destination. 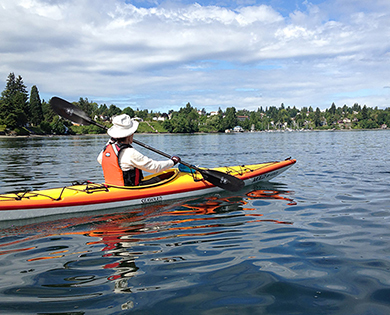 With more than 100 possible stops on the newly designated Kitsap Peninsula Water Trail, you could spend an entire summer navigating quiet coves and still have more to explore." 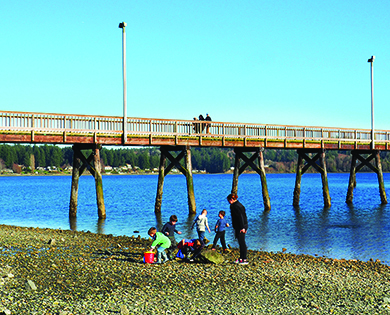 In 2014, the Kitsap Water Trails joined the National Water Trails System, the first in Washington state to earn the designation and the only natural, saltwater trail in the United States. Explore the 371 miles of the water trail via kayak, SUP, sailboat or scuba diving. A new interactive map helps you plot your adventure. With more than 100 possible stops, you could spend a summer navigating quiet coves and still have more to explore. Need to rent a kayak? Or find a guide? Visit Kitsap has suggestions. If you prefer land adventures, there are miles of options. First stop: author Craig Romano’s Urban Trails Kitsap . The pocket-sized book includes 25 routes on the Kitsap Peninsula as well as additional options to stretch your legs on neighboring Key Peninsula and Bainbridge Island. The guide includes favorites such as Kitsap County Parks’ Guillemot Cove Nature Reserve , 200 acres of westward facing beaches and forest near the tiny community of Seabeck on Hood Canal. The hiker-only trails – carved from an historic private estate – are perfect for family getaways or solitary hikes. The Kitsap Peninsula also has miles of bike trails. 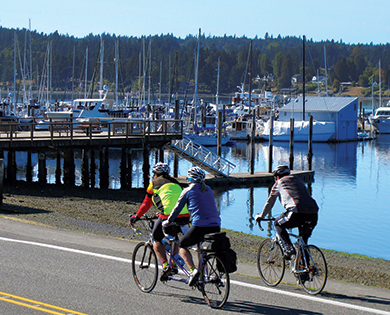 Visit Kitsap’s bike route map will help you narrow down the choices and find amenities that make your pedal even more pleasurable. Stops include the Peninsula’s 11 farmers markets and rural, family farms that welcome visitors. 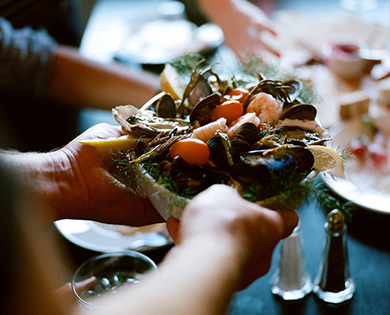 Julia Child said: “A party without cake is just a meeting.” The same theory applies to a Kitsap adventure elevated by gourmet provisions from the peninsula’s historic general stores, artisan bakeries and delis. 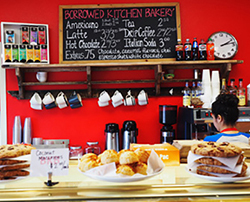 If you’re traveling to the peninsula via the Edmonds-Kingston Washington State Ferry route, stop at Borrowed Kitchen Bakery. (Their ginger snap cookies are a sweet treat for the trail or the ferry ride home.) Staying in Bremerton? 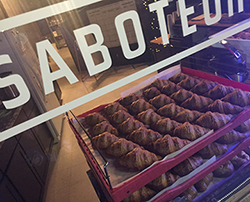 It’s a quick trip to Saboteur Bakery in Manette, the up-and-coming neighborhood pastry chef Matt Tinder chose when he moved north from gigs at Michelin-starred restaurants in California. In Poulsbo, the Marina Market may have the world’s largest selection of licorice. Stock up on sandwiches or sweets at Carter’s Chocolates in Port Orchard. 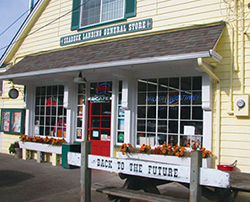 The Keyport Mercantile and Diner, a 2-minute walk from the community’s small marina; Seabeck General Store, which dates back to the town’s founding in 1856; and the Port Gamble General Store (and Seashell Museum) are old-fashioned general stores that offer simple pleasures like ice cream cones and picnic supplies. Also in Port Gamble, near trail heads to more than 60 miles of wooded pathways, is the fabulous locally sourced Butcher & Baker Provisions. At the end of the day, recount your adventures at fine local restaurants such as The Honor Bar in Manette (where the bartender mixes craft cocktails that soothe trail weary muscles) or one of the Peninsulas many craft breweries. Feel like a day off the trails? 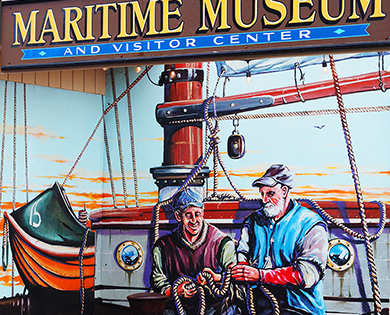 The Kitsap Peninsula has wonderful museums that trace the area’s military legacy. Near the ferry line in Bremerton is Harborside Fountain Park and Puget Sound Naval Shipyard Memorial. Follow the cascading water feature and read the informational signs that feature striking, black-and-white photos of the people—mostly women—who kept the shipyard humming during the wars. 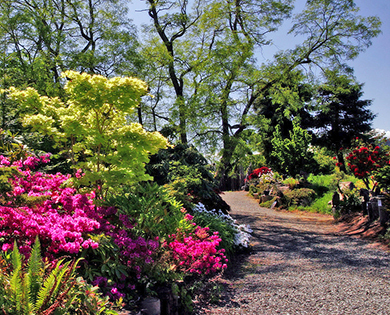 Or explore the area’s gardens and nurseries, including the remarkable 6-acre Elandan Gardens with its world-class bonsai museum and traveling-caravan-like gift shop. There are charming locally owned stores such as Josephine’s Mercantile in Port Orchard, Sugar Flower Market in Poulsbo, independent bookstore Liberty Bay Books, and The Artful Ewe in Port Gamble, a fiber arts shop that is heaven on earth for knitters. 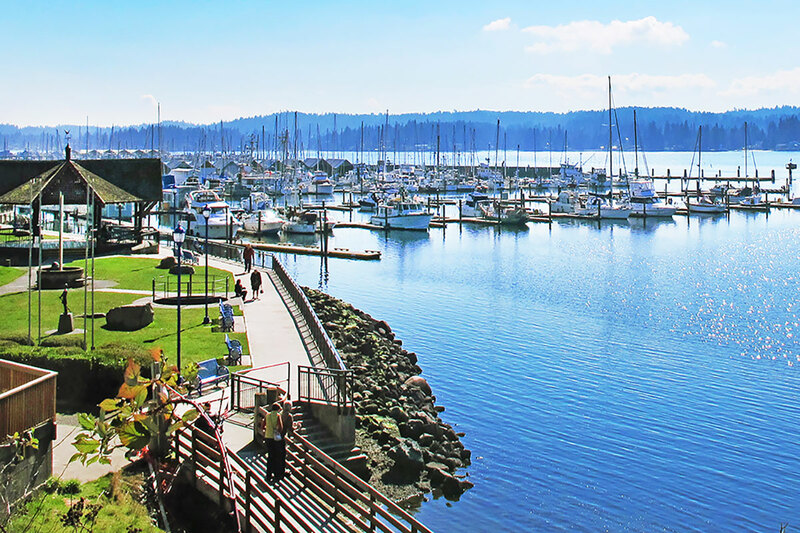 Port Orchard is a charming little waterfront community with boardwalks, shops and galleries to browse. In addition to Elandan Gardens and bonsai museum, some of the best golf in the state is located nearby. From Port Orchard, looking directly across Sinclair Inlet toward Bremerton, you’ll have an excellent view of the U.S. Navy mothball fleet. Ever-present water views are among the Kitsap Peninsula’s many advantages. 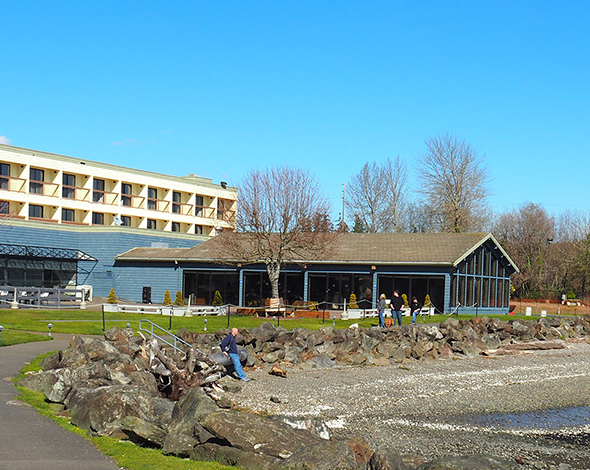 There are several waterfront hotels with stunning views, including the Oxford Suites and Best Western Silverdale Beach Hotel, Hampton Inn & Suites near Bremerton’s emerging arts scene, and Comfort Inn on the Bay in Port Orchard. 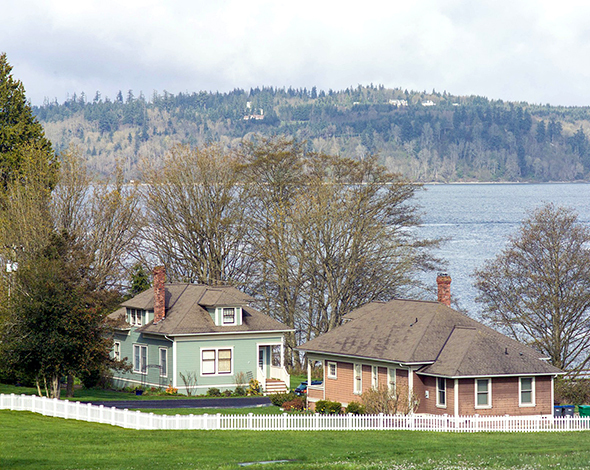 Families and friends traveling together will love the historic Cedar Cover Inn in Port Orchard and Port Gamble Guest Houses, which—like so many things on the Kitsap Peninsula—offer cozy waterfront getaways. 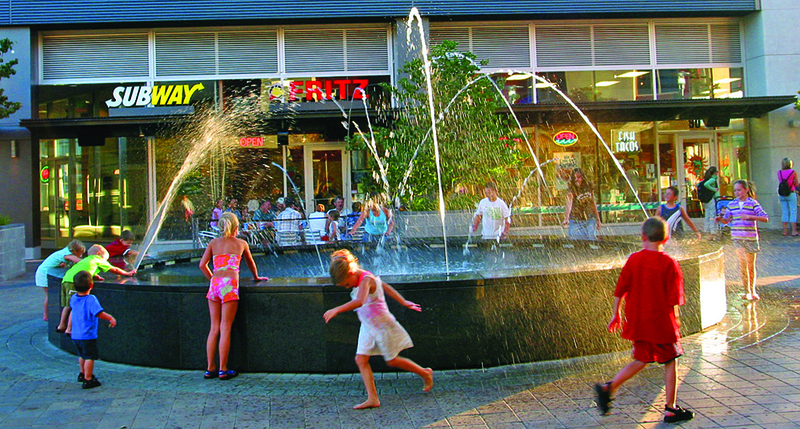 For more about information about the Kitsap Peninsula: visitkitsap.com.